Debt recovery endorsed from automobile plant in VTB Bank’s lawsuit | Russian Legal Information Agency (RAPSI). MOSCOW, May 26 - RAPSI, Fyodor Shatsillo. 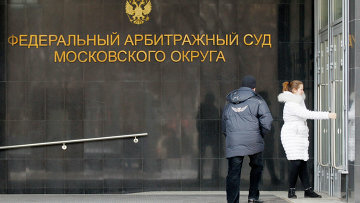 The Moscow District Federal Commercial Court has confirmed a ruling to collect 726.09 million rubles (approx $25,495,270) from the Taganrog Automobile Plant in favor of VTB Bank, the court told the Russian Legal Information Agency (RAPSI). The decision means the dismissal of the plant’s appeal against the primary jurisdiction court’s ruling. The Moscow Commercial Court resolved to recover from the plant 726.09 million rubles in a VTB lawsuit on Nov. 9, including 567 million rubles of the principle amount. A commercial court of appeals upheld the lower court’s decision on March 16. The lawsuit is based on a default under a loan agreement entered into on Nov. 7, 2008. The Taganrog Automobile Plant (TagAZ) was established in February 1997. It began to cooperate with South Korea’s Hyundai in 2001. Its facilities allow manufacturing up to 180,000 motor vehicles per year. 17:05 26/05/2011 The Moscow District Federal Commercial Court has confirmed a ruling to collect 726.09 million rubles (approx $25,495,270) from the Taganrog Automobile Plant in favor of VTB Bank.